Similac Growing Up Milk is a palm oil free toddler milk that is designed to support development and provide key nutrients for children aged between one and three years. It is relatively new to the UK market, and so you may not have heard of it before. If you have stopped breastfeeding, or your child is fully weaned but you worry about making sure they get all the nutrients they need, growing up milk can be a great way to give you peace of mind. Similac growing up milk provides key nutrients like omega 3 & 6, vitamin D, calcium and iron, to support the growth and development of your toddler. It also provides vitamins A and C to support their immune system. 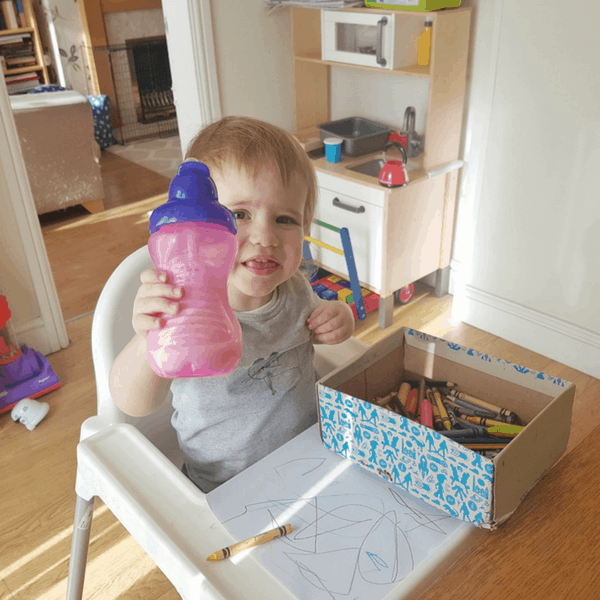 We were asked to try Similac Growing Up Milk as an alternative to Littlest’s usual toddler milk. Check out the video below to see how to prepare the milk, and how she got on. The milk has clear instructions and was very easy to prepare, as the video above shows. Littlest was fairly reluctant to take the milk at first, as it is not a brand she has tried before. I think this would be an issue to consider if swapping to a new brand of stage 3 milk. Phasing in the new milk gradually may be needed when moving straight from breastfeeding too. After a few attempts she did drink the milk, though she is drinking a little less than previously. It should be noted that H is quite temperamental when it comes to eating and drinking enough. This is one of the reasons why we feel growing up milk is a good supplement to her diet. Why Choose Growing Up Milk? We have used growing up milk with Littlest much more than with her older brother. 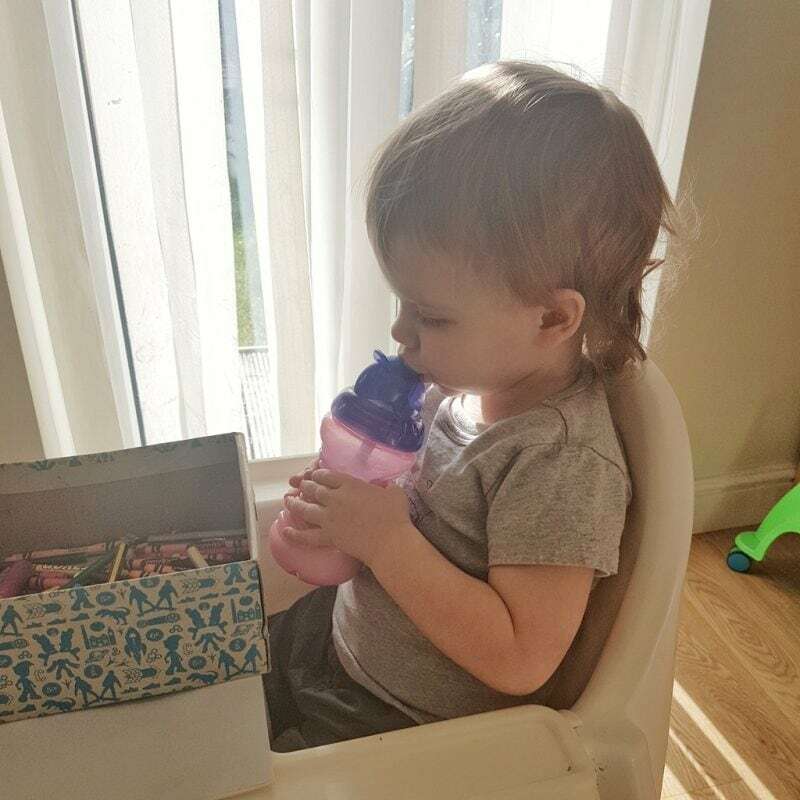 She has always been fussy and drinks and eats a lot less than he did at a similar age. I find that I worry frequently about whether she is getting a balanced enough diet. Growing up milk gives great peace of mind for parents in this situation. The fact that Similac stage 3 milk includes a wide range of vitamins, minerals, fatty acids and iron, means that you can rest assured that their immune system and development are supported. 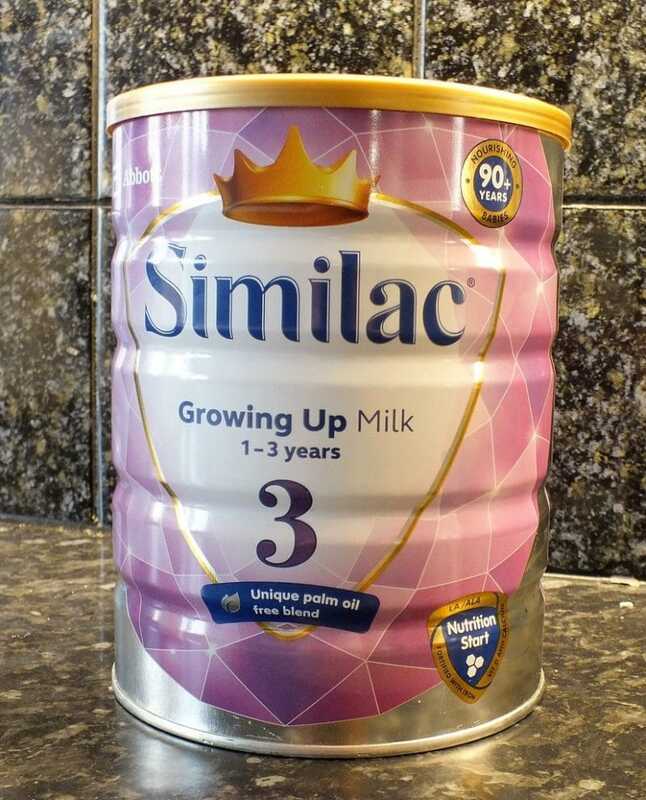 Similac Growing Up Milk is attractively packaged and comes in a sturdy tin with clear instructions. I have always preferred this kind of tub as it stores well and doesn’t open to the air easily like some cardboard cartons on the market. I think it could be improved by including a way to level off the powder in the tin, as some other brands do. We were provided with excellent information about the Similac brand, which as been around since 1925 and is made by Abbot. Abbot were the first company to make such products in America, and have only made Similac available in the UK since June this year. 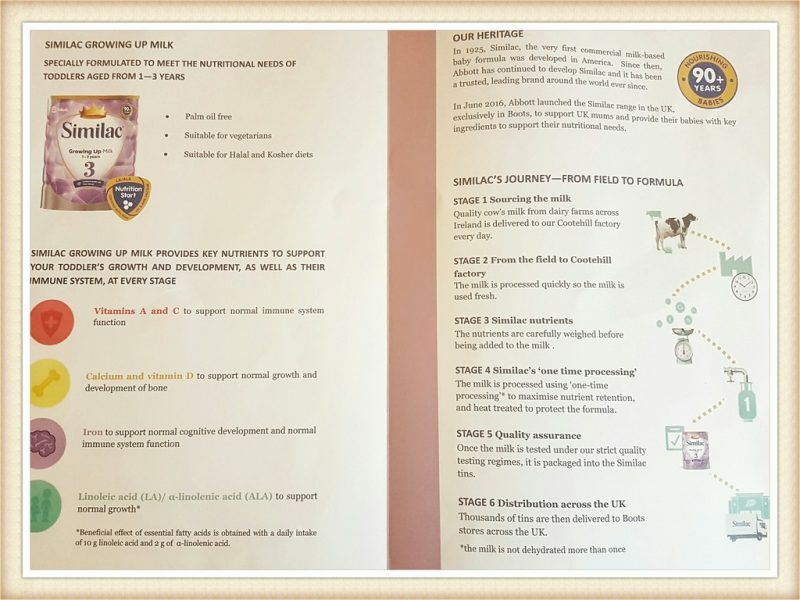 I was particularly impressed by the information about how the formula is made, and by how their special ‘one time processing’ helps to maximise nutrient retention. 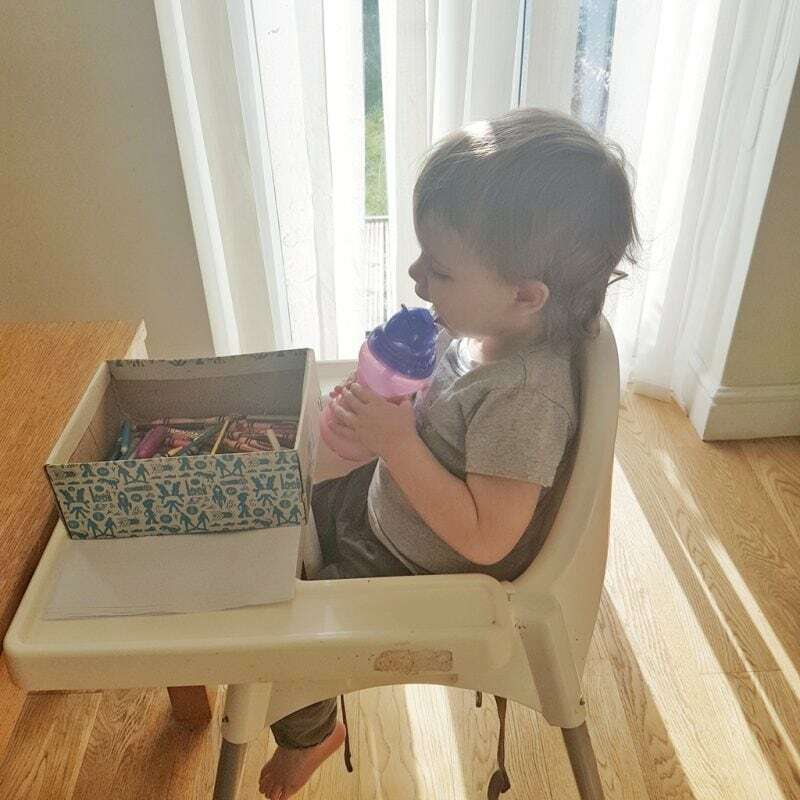 I would recommend Similac Stage 3 Milk to those who are just switching to growing up milk or those who have used similar milks throughout their child’s feeding and weaning journey. Unfortunately, I think Littlest is too set in her ways to fully accept a new brand at this stage. If I was starting with a new baby, I would certainly purchase Similac’s products. They have the added bonus of being palm oil free and suitable for vegetarians and halal and kosher diets. This could be really appealing for people who struggle to find products which fit those categories. Similac products are great addition to the UK market. Breastfeeding is best for babies and is recommended for as long as possible during infancy. Breastfeeding provides many benefits to both mother and baby. It is difficult to reverse the decision not to breastfeed. We recommend that you speak to your healthcare professional for advice on how to feed your baby. I’ve never heard of this brand before, I’m glad you have found something that works for you as a family. This is a brand I havent heard of. My eldest had growing up milk as his diet wasn’t well established, but my youngest has been a good eater early on so we didnt use it with him. You sound so professional in your video! My son has preferred this milk to any other we’ve tried so we’re sticking with it. I totally understand that you’re keen to use follow-on milk with your daughter if she’s a bit unpredictable with her eating as my son is the same. This milk is great, such a fab alternative to the other options. Fab news that H eventually took it!